The metropolitan area formed by the two cities has a population of 1.68 million in 2014. Cuttack is categorised as a Tier-II city as per the ranking system used by Government of India. The earliest written history of Cuttack may go back to the Keshari dynasty. As stated by the distinguished historian Andrew Stirling, present-day Cuttack was established as a military cantonment by king Nrupa Keshari of Keshari dynasty in 989 CE. Stirling based his opinion on the Madala Panji, a chronicle of the Jagannath temple of Puri. The reign of Markata Keshari was distinguished for the stone embank built to protect the new capital from flood in 1002 CE. Historical and archaeological evidence suggests Cuttack becoming capital of a kingdom founded by Raja Anangabhimadeva III of Ganga dynasty in 1211 CE. After the end of Ganga rule, Odisha passed to the hands of the Suryavamsi Gajapati dynasty (1434–1541 CE) under whom Cuttack continued to be the capital of Odisha. After the death of Raja Mukunda deva, the last Hindu king of Orissa, Cuttack first came under Muslim rule and later under Mughals. Remnants of an old fort called Barabati Killa still exist in the heart of Cuttack with the moat around the fort. Nearby is a modern stadium called the Barabati Stadium, host to many national and international cricket matches. Recently the stadium was upgraded with floodlights for facilitating Day and Night matches. Recent growth of the city has resulted in expansion across the Kathajodi River and a newer township towards the head of the delta formed between the tributary Kathajodi river and the main river Mahanadi has come up by the name of Markat Nagar (popularly known as CDA by the local residents) which is spread across 2000 acres. CDA has 15 sectors out of which 11 are residential & has population around 150,000. Jagatpur & Mahanadi vihar are two other township in the City. Mahanadi Vihar is the first satellite city project in Odisha. Cuttack is referred to as a city with Baaban Bazaar, Teppan Galee i.e. this is the city of 52 markets and 53 streets which is told by people of Odisha for the largeness of this city. Naranpur is another satellite township coming up in Trishulia, on the other side of Kathajodi River. Cuttack is located at 20°31?23?N 085°47?17?E and has an average elevation of 36 metres (118 ft). The city is spread across an area of 192.5 km2 (74 sq mi). The city, being a Cuttack Municipal Corporation which consists of 59 wards. The city stretches from Phulnakhara in south to Choudwar in north and Kandarpur in east to naraj in west while main city is located at the apex of the Mahanadi River delta. Apart from Mahanadi, four of its distributaries also run through the city. The distributaries include Mahanadi, Kathajodi, Kuakhai and Birupa where Kathajodi further has two distributaries; the right being Devi while the left is Biluakhai. Mahanadi runs through the city on the northern side separating the main city from the Jagatpur Industrial Area. The Kathajodi river forms a riverine island of Bayalis Mouza after separating the main city from Gopalpur. The Kuakhai river separates the southern part of the city into two-halves, namely Pratap Nagri and the new township of Naranpur. The Kuakhai runs throughout the south of the city along Phulnakhara before entering Bhubaneswar. The Birupa river runs through the north of Jagatpur Industrial Area separating it from Choudwar. There are numerous ponds known as (pokharis) in the city that store rain water. The Mahanadi provides much of the drinking water to the city. Cuttack Chandi Temple: The temple of Cuttack Chandi is probably the most famous religious establishment of city. The temple is dedicated to the Goddess Chandi, the presiding deity of Cuttack. The temple is located in proximity to the banks of the Mahanadi River. 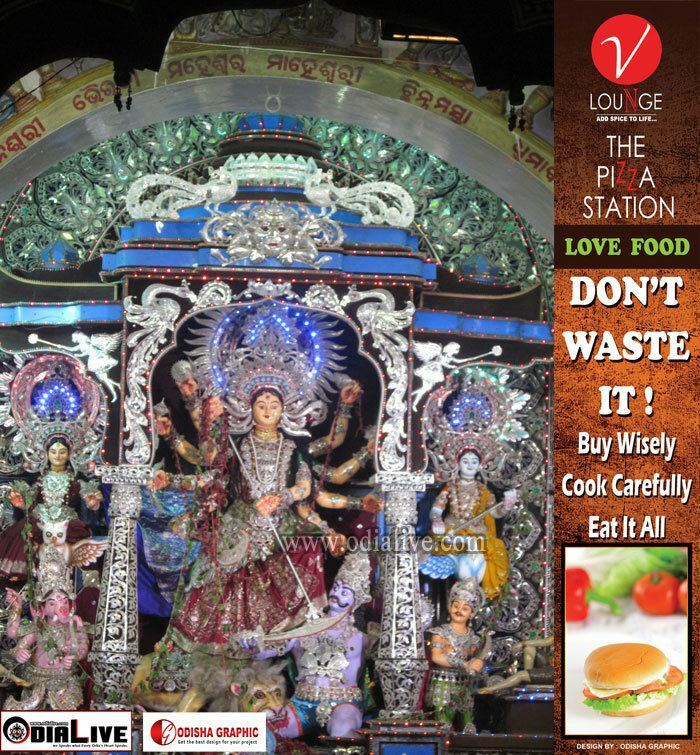 It is famous for its annual Durga Puja and Kali Puja festivals. 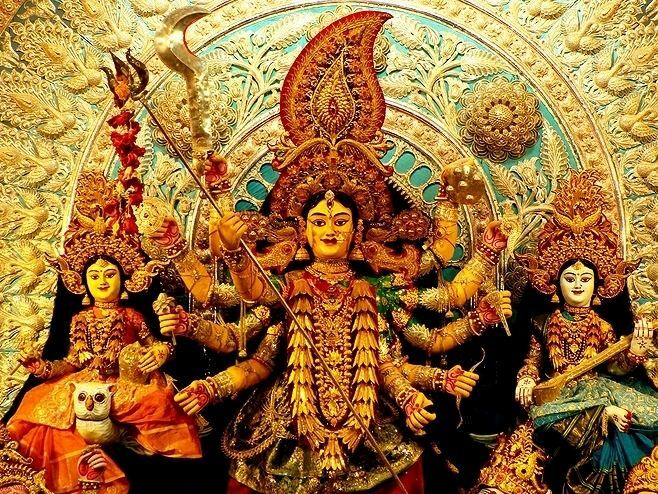 The Durga Puja festivities are prominent in Maa Katak Chandi temple which takes place for 16 days stating from dark fortnight of Ashwina Krishna Ashtami till Ashwina Shukla navami and Vijayadashami. The Goddess popularly called as Maa Katak Chandi, sits and rules on the heart of the ancient city. Gada Chandi Temple: It is situated in the historic Barbati Fort which is well known for its role in Odisha’s history. Gada Chandi temple is one of the oldest temples in Cuttack and is believed to be the older temple of Cuttack Chandi before her shift to the present Cuttack Chandi Temple. People strongly believe Maa Gada Chandi as The Living Goddess. Dhabaleswar Temple: The temple is dedicated to the worship of Lord Shiva. It is situated on an exotic island in the Mahanadi River and is embellished with stone carvings that date back to the early 10th and 11th century. It is one of the famous weekend tours from Cuttack. The serene ambiance, in which the temple is situated, inspires spiritual feeling among one and all. The island is connected to the mainland on the other side by a suspension bridge which is the first and only of its kind in the state. Paramahansa Nath Temple: Cuttack also hosts the Paramahansa Nath temple situated in Biribati. It is considered to be one of the oldest temples in the state. Qadam Rasul: It is a very famous holy site for the Muslims in the state. It is believed to be a type of veneration of Muhammad. It comes from the belief started early in Islam that when Muhammad stepped on a rock his footprint left an imprint. This belief was never accepted by orthodox brands of Islam. However, the idea was disseminated widely and led to the creation of many shrines around such imprints one of them being situated in Cuttack. Jama Masjid: Jama means big, and this is the oldest, biggest masjid of Cuttack. It was built during the Mughal era. Earlier there used to be a Madrasa in this mosque. However, since a decade, the Madrasa is shifted out. The neighbourhoods surrounding the Jama Masjid are inhabited predominantly by Hindus. Daatan Sahib Gurdwara: A holy historical Sikh shrine, the Daatan Sahib Gurdwara is where the first Sikh Guru, Shree Guru Nanak Dev, halted on his way to Puri. It is believed that a tree branch planted by him after using it as a tooth cleaner still flourishes here, hence the name Daatan Sahib. 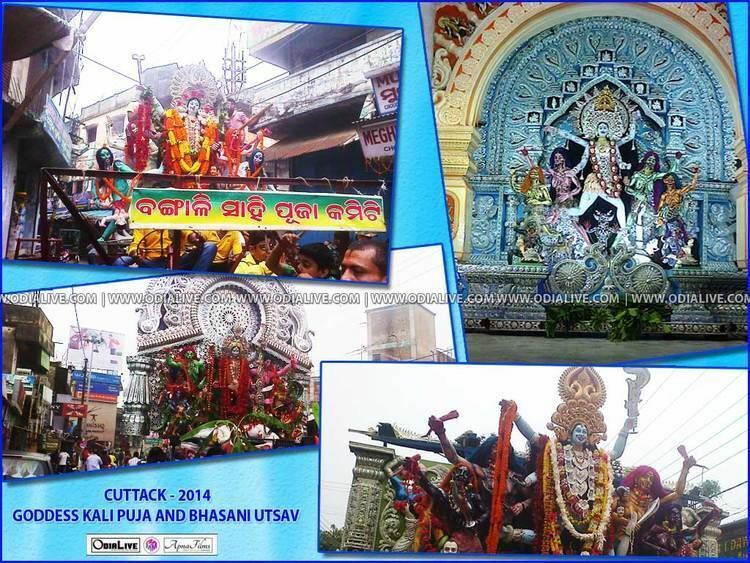 Cuttack also houses several churches that include Holy Rosary Church, Oriya Baptist Church etc. Cuttack is widely known as the commercial capital of Odisha. It is believed to have the largest GDP among all cities in Odisha due to its large business houses and wide range of industries ranging from ferrous alloys, steel and logistics to agriculture and traditional industries like textiles and handicrafts. There are many trading houses in the city renowned nationally and internationally. The Paradip Port which is around 85 km from the city facilitates this process. The Barabati Fort is a 14th-century castle built by the Ganga dynasty ruler Maharaja Markata Keshari. The ruins of the fort still remain with its moat, gate and the earthen mound of the nine-storied palace, which evokes the memories of past days. Cuttack, being the aesthetic capital of Odisha for a long period, celebrates festivals from all religions with much fanfare and devotion. Boita Bandana: This festival is celebrated on the last day of the holy Hindu month of Kartik. On this auspicious day people flow miniature boitas or model boats in the Mahanadi and Kathajodi rivers to pay homage to the ancient merchants of Kalinga Kingdom. This day also marks the beginning of Bali Jatra. This festival is similar to the Masakapan Ke Tukad festival of Bali, and to the Loi Krathong festival of Thailand, both of which involve ritualistic floating of model boats around the same time of year. Bali Jatra: The festival which Cuttackis look forward to most is the Bali Jatra. Bali Yatra is supposedly the second largest trade festival in Asia and the largest in India. The name Bali Jatra literally means A Voyage to Bali. In olden times, merchants used to trade with South-East Asian Island Countries of Bali, Java, sumatra, Borneo. Whatever items they brought from those places after trading Oriya goods used to be put up for sale in the capital (which was then Cuttack). People from all over the state and beyond used to come to Cuttack to buy these items. Bali Jatra is the festival of continuing this ancient tradition. It is held every year in November on the banks of the Mahanadi. Many stalls are set up selling both local and exotic goods. People from all over Odisha come to the Bali Jatra to buy items, as was the custom back in those days. Kartikeshwar Puja: The puja in Cuttack is organised by the puja committees of Cuttack. This festival is observed to worship Kartikeya, the eldest son of Lord Shiva. Nowhere else except Sabarimala is the Kartikeswar puja carried out with so much elan. All the other regular Indian festivals like Ratha Yatra, Raja, Ganesh Chaturthi, Vasant Panchami, Holi, Diwali, Chhath, Id, Good Friday, Christmas and the numerous festivals are celebrated here.